With seven books, nine movies, merchandise and a wizarding world, the Harry Potter franchise has swept through America, almost like magic. And with the upcoming sequel to Fantastic Beast and Where to Find Them, premiering on November 16, the country will once again get a taste of the world of Harry Potter. What’s been left out however, are the exciting page turner books that started it out. An original Harry Potter book hasn’t come out in years, but there are book series out there that will give you the same type of coming of age story with the same feeling you got reading Harry Potter for the first time. Author Rick Riordan has developed several exciting book series like Harry Potter, that have magic, mystery, and action. His first series, Percy Jackson and the Olympians, introduces the reader into a world where the Greek gods and monsters are more than just mythology. Like Harry, the main character, Percy Jackson, is unfamiliar with this other world that exist hidden within the normal one and is thrown unexpectedly into it. 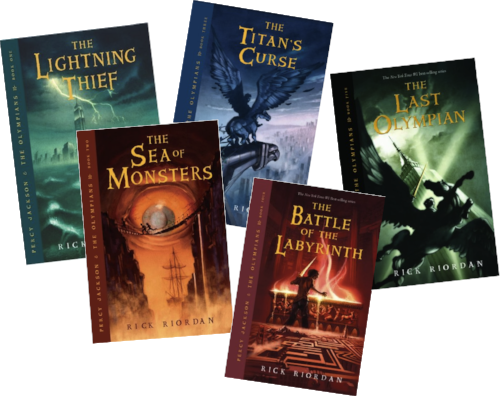 The series consist of five main books and a five supporting books, but Riordan doesn’t stop there. He has published three other book series with similar concepts, involving Roman, Egyptian, and Norse mythology, with the Norse books ongoing. I am Number Four is another fantasy book series. The series has multiple authors. James Frey, Jobie Hughes, and Greg Boose collectively wrote the series under the pseudonym Pittacus Lore. Once again, the main character, John, comes into his own, only this time instead of dueling wizards and gods, he tries to fight off an alien invasion all while learning to develop his unique abilities and trying to live a normal live. That’s just the first book. The following books give the reader a different perspective from each character with a total of seven main books and several side story books. Not enough for you? There is now an ongoing new series titled Generation One, and it takes place after the first series concludes. The last book series is one that doesn’t involve magic, and it doesn’t take place in the world as we know. Instead, it’s an alternate dystopian world where books are sold on the black market and the library controls everything. 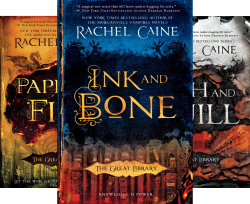 The Great Library series is by author Rachel Caine. It is a five-book series with the fifth book slated to be released in July 2019. The main character, Jess Brightwell, comes from a family of smugglers. Book smugglers. And like Harry, he gets accepted into a prestigious institute. Only this institute can very well get him, and his friends killed. No one can say if there will be anymore Harry Potter books or how many more Harry Potter related movies there will be. But if you get these titles a chance, you’ll get a similar sense of excitement and magic you once got from the very first Harry Potter.